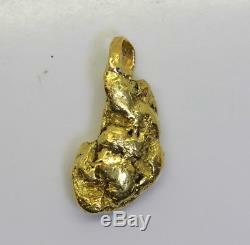 Acid tested 22K solid gold. 5 wide & 7mm thick. Bale fits up to a 5mm chain. 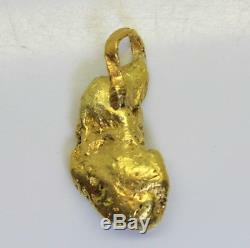 11.1 Gram 22K-24K Natural Alaskan Gold Nugget Pendant" is in sale since Wednesday, June 13, 2018. 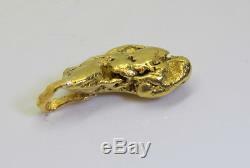 This item is in the category "Jewelry & Watches\Fine Jewelry\Fine Necklaces & Pendants\Precious Metal without Stones". 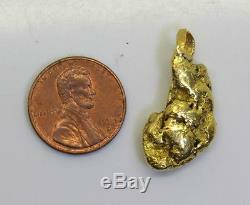 The seller is "numiscellaneous" and is located in Cape Girardeau, Missouri.